Welcome back, Bruthas and Sistas, for this week’s edition of the WT. This week we’re going to take a look at one of the most prolific territories to ever exist, with one of the richest histories of any of the NWA originals. So let’s head back to the turn of the Twentieth Century, to the State of Virginia. Jim Crockett Sr. was born in Bristol in 1904, and grew up watching the greats like Ed “Strangler” Lewis working the carny wrestling circuits. It was these early years that would lay the seeds for the empire he would later build in not only wrestling, but all types of promotional ventures. As a teenager, Crockett began promoting music concerts and sporting events at local fair grounds and any venue that he could secure to make a profit with. As he grew his little business, he purchased a theater, and several restaurants to try and diversify his holdings. 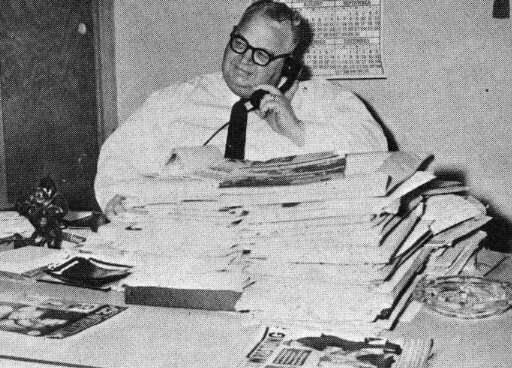 In 1930, at the age of twenty-five, he formed his parent company of Jim Crockett Promotions, and using a homebase of Charlotte, NC., he began to promote wrestling cards all across the Carolinas and Virginia. His original wrestling company was called Eastern States Championship Wrestling. ESCW thrived in the days unorganized wrestling, due mostly to Crockett’s reputation of being an upfront business man, whose word could be counted on to keep a handshake deal. All the greats of the day made their way to the Southeast for a stop at JCP at one time or another. Crockett was also know for his philanthropic work in his community. He was a staunch supporter of the military and in 1931, he established the Crockett Foundation to help give assistance to returning servicemen. His standing in the baseball and wrestling communities led to strong support of this patriotic business gesture with endorsements by athletes from all walks of life. The years around WWII left the country in a state of victorious prosperity. People were looking to celebrate and have a night out, or an afternoon at the ballpark. All this led to financial gains for Crockett, who had successfully tapped into most every sporting market through his JCP in the previous decade. Like most families in America during this time, his began to multiply as we headed toward the Fabulous Fifties. He and his wife, Elizabeth, had four sons between 1944 and 1950. Jim Crockett Jr(‘44), David Crockett(‘46), Charles(‘48), and Frances arrived a little over a year later. Jim Sr. was a proud father of four boys, and his family life couldn’t be better. Even with his reputation for fair-handed dealings, as the popularity of wrestling grew all across the nation, it became very apparent to the major players that they need to unify to protect their interests and well as bring their sport into a new era. Crockett left for Waterloo, Iowa in 1948 to meet with these other owners, and when they left there, the NWA was formed. 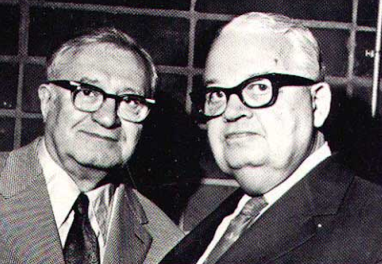 Crockett made such an impression on Sam Muchnick, the Godfather of Professional Wrestling, that when Sam was elected President of the new organization, he immediately turned to Crockett to be his Underboss, second in command for many years. This not only raised the reputation of Crockett even further, but it allowed him to cement a solid foundation on which his legacy would be built. Once they became part of the NWA, JCP moved to re-brand themselves and start fresh with their new product. ESCW was dissolved and Mid-Atlantic Championship Wrestling was born just prior to 1950, and incorporated soon after. They still were working in the small venues and Crockett-owned buildings as they continued to grow. With each and every show he sold out, he knew that all he needed was a bigger venue to work out of to really take his promotion over the top, and claim his section of the East Coast from Maryland to Georgia, and eventually the entire Southeast. He got his wish in 1959. 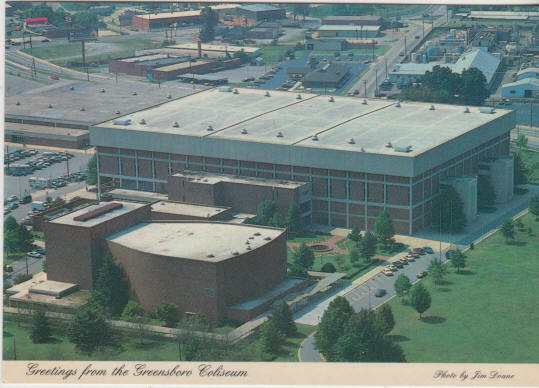 What was originally one of four buildings comprising a massive complex that would eventually bear it’s name, The Greensboro Coliseum, or Greensboro Memorial Coliseum as it was known in the boom times of MACW, originally held a seating capacity of just over seven thousand. Much like the promotion that it became home to, it grew over the years to meet the demand of the exploding hoard of fans that would swamp there each week. It saw expansions in 1972 that doubled it’s seating capacity, and again in 1991 that allowed the venue to seat twenty three thousand. It was the Church of MACW for nearly thirty years until the birth of WCW. Let’s not get ahead of ourselves though, we left our story in 1960. Like most NWA satellite promotions at that time, Crockett soon realized that having the NWA champ stopping in one week every couple months wasn’t enough to satisfy the growing fanbase that he was building. MACW, soon began to adopt their own regional titles under the NWA banner. One of the first of these was the NWA Atlantic Coast Tag Team Championships, which made their debut in 1968. One of the first teams to take it for their own was the pair of Rip Hawk and Swede Hanson, better known as the “original” Blond Bombers. Hawk talked to Crockett and convinced him to bring Gary Hart as their manager, after Hawk had a successful run with him in Australia. The team battled with the pair of Johnny Weaver and George Becker, as well as the Minnesota Wrecking Crew of Ole and Gene Anderson throughout the early Seventies, as the title shifted between the three teams. All three teams had held the titles four times each by 1973. Hawk and Weaver both had a hand at booking the territory during the late Sixties and into the Seventies. Kenneth “Johnny” Weaver worked for a short time in CWF but was a MACW mainstay for most of his professional wrestling career. Born November 17, 1935, in the hardened stockyard city of East St. Louis, Illinois, which is not too awfully far from own hometown of Marion, Il, he got his start in the business as a young man and made his bones mostly in the tag team divisions, winning titles all across the Southeast. He beat the Missouri Mauler while in CWF for the Florida Southern Heavyweight Title, and learned about the office while he was in Tampa. He came back to MACW in the Seventies to help run the organization with John Ringley, who had taken more duties on as Crockett Sr. began to falter to ailing health. 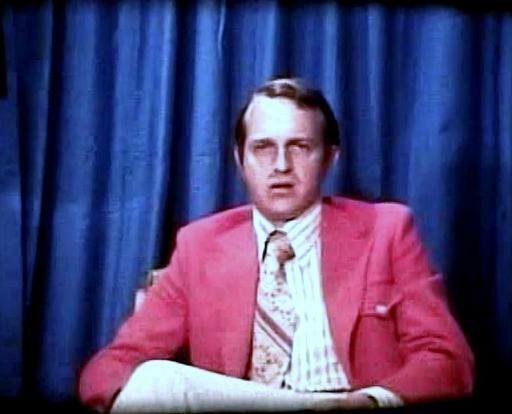 He worked the rest of his professional career in MACW and even went on to work on the announce team there. 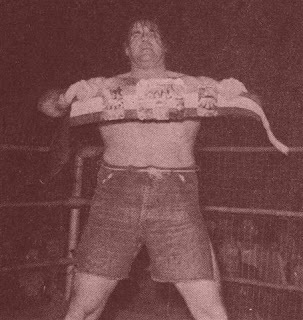 Weaver would hold the Atlantic Coast Tag Team Titles six different times, with two different partners, which was more than any other man while the titles held this name. He is also credited with the invention of the rear-naked choke, or sleeper hold. We will pick back up with Johnny Weaver in Part II of MACW. MACW also introduced one of their first regional singles titles in October, 1970, with the debut of the NWA Mid-Atlantic Heavyweight Championship. The Missouri Mauler was it’s first official holder, but it was sought after by, once again Rip Hawk, and the Brothers Brisco, who held the title on numerous occasions in the early Seventies. 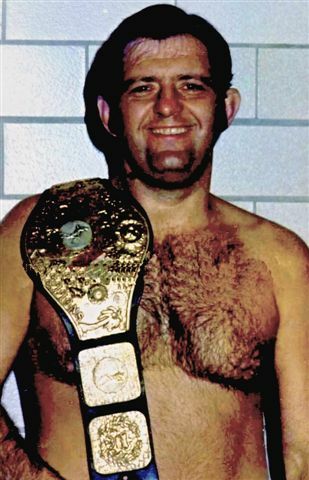 Hawk held the belt four times in those years as well, with Ole Anderson being the last person to hold the title under that incarnation after taking it off of Hawk in May of 1973. The title scene was starting to heat up and MACW was setting itself apart from the rest, which was no easy feat for that area of the country on those days. Born Larry Hamilton in St. Joseph, im March 1931, The Missouri Mauler got his start in New York in the Fifties. After a run there, he headed down to JCP to see what all the talk was about. He teamed with Tom Renesto who was working as the Great Bolo and had a feud with Mr. Moto, and Duke Keoumuka into the early Sixties. When Jody Hamilton came in and began working the territory, he got with Renesto for the first time and formed the Masked Bolos. As we learned last time, the two men would go on to become The Assassins, and terrorize opponents up and down the East Coast for decades. The Mauler formed a three man team with them and they went to war with the mountain of a team in Haystacks Calhoun and The Kentuckyians, when John Quinn and Grizzly Smith were touring the territory. The six men would draw huge crowds whenever they were booked against each other. The Mauler remained in the territory for years and eventually retired in 1981. He died on July 20th, 1996 from a heart attack He was sixty-five years old. On April 1st, 1973, Jim Crockett died suddenly in the hospital as he was attempting to recover from extended poor health. The name nicknamed Big Jim, because of his three hundred pound frame started to have health problems a couple of years earlier, and began setting in motion arrangements for his protege’, Ringley, to take over the business. With his sudden passing, those arrangements were incomplete and his son, Jim Crockett Jr., stepped in to take over control of his Father’s businesses. Big Jim was sixty-three years old. — Funeral services will be at 10 am Tuesday at Hankins and Whittington Funeral Chapel. A graveside service will be at 4:30 pm Tuesday at Glenwood Cemetery in Bristol, Tennessee, his hometown. Honorary pallbearers will be some of Crockett’s best friends – area sportswriters, radio and TV announcers, promoters and arena managers. In keeping with his wishes, friends may send memorials to the Shriner’s Crippled Children’s Hospital in Greenville, South Carolina, or to the Mecklenburg Association for Retarded Children. Jim Crockett was known for his charity work in his beloved Charlotte, he even named the City of Charlotte, as one of the family members he was survived by. There were very few class acts like Big Jim Crockett, even in the generation he was forged out of. He believed in hard work, giving back, and bringing enjoyment to all the fans of his JCP endeavors. Crockett Jr. and his brothers weren’t very involved with JCP for much more than enjoying the benefits of it’s profit making potential….yes, I just called them spoiled. Once Jr. began to get his hands into the business, he started to make changes almost immediately. He brought in wrestler/booker George Scott, and the pair started to sign rookie wrestlers from all over the country. This ruffled the feathers of many Big Jim loyalists still employed by JCP, and the tension started to create a divide between some of them and the new arrivals working with Jr.
During the months that followed his father’s passing, Crockett also began to rename the titles that had been branded with the NWA, opting to put more focus on his own territory and less on his NWA parent brand. 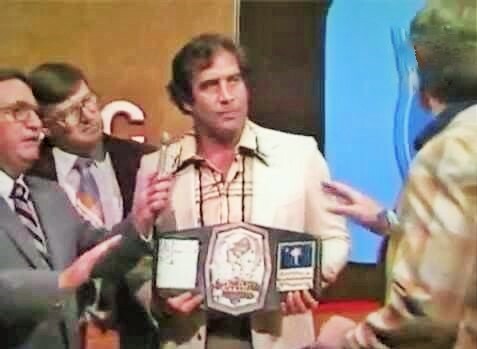 The NWA Eastern Heavyweight Championship became the Mid-Atlantic Heavyweight Championship, with Jerry Brisco who was grandfathered in as the new Champ since he was the last one to hold the Eastern Title. The NWA Atlantic Coast Tag Team Championships were also renamed at this same time and morphed into The Mid-Atlantic Tag Team Championship, with Brute Bernard and Jay York being the original Champs under that name. The creation of new titles and unification of NWA labeled ones continued on into the Seventies and we will pick that back up in Part II as well. While there are many viable spots to break the history of MACW up into the next installment, it seemed that none was more fitting than the Summer of 1974. JCP was being helmed by a new force, and while he bore the same name as the original, Jr. was no Big Jim by any means. While he may not have had the business acumen of his Father, he had something that would propel him to the forefront of the territorial scene, and make his promotion a powerhouse that stood strong against the rising of the WWF tide and spat in it’s dynasty building eye. For it was the rising if the symbol of the almighty Four, and the war cry that could be heard by it’s adrenaline laced leader that would strike fear in the hearts of babyfaces and little old ladies across the Southeast. For those of us that went to weekly revival meeting of our wrestling higher power each and every Saturday evening at 6:05, the sound will be forever synonymous with all that was great with wrestling in the Eighties. I leave you with a WOOOOOOOOOOO! !, Bruthas and Sistas. I’ll see you back here next week to pick the story back up in 1974, when the Era of Flair began. Like all history this is gold, and we can definitely DIG IT!!!!! Peace.